Three of Wales' NHS boards would not have broken even without a cash injection of more than £12m from the Welsh government. Civil servants have commissioned an external review of their financial plans. Health Minister Lesley Griffiths praised a "remarkable achievement" by local health boards (LHBs) and insisted they had not been bailed out. But opponents accused her of being misleading. The leeway granted to the three local health boards is equal to 0.2% of the £5.5bn budget for the NHS. The minister has repeatedly told LHBs, which are legally obliged to break even every year, not to expect hand-outs and warned she will hold senior managers to account if they miss financial targets. She claimed there was "no more money" available after the NHS was granted an extra £145m last year. It included additional revenue of £63m to put the NHS on a stable footing and £30m specifically for Hywel Dda Health Board, which covers mid and west Wales. On Wednesday the Welsh government confirmed Aneurin Bevan, Cwm Taf and Powys Teaching LHBs needed cash injections of about £4m each to get them to the end of the financial year. In a written statement, Mrs Griffiths said she had allowed them to take £12.4m from future funding. But after being forced to come to the Senedd chamber to answer an urgent question, she later said the money came from a "contingency fund" held in her department, not the 2012/13 financial year. Her spokeswoman later clarified that the money will have to be repaid from the LHBs' allocations this financial year. The advance to the LHBs means she can claim the NHS had a cash surplus of about £500,000. "This is not a bail-out," she told AMs. "Any money that's drawn down is conditional". She said it was a break with the past when "year after year NHS organisations were bailed out with no strings attached". As well as being subject to an external review, the boards must commit not to draw down any additional funding for three years. 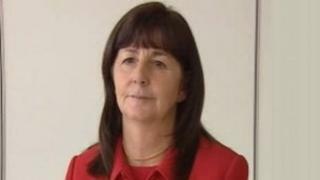 Breaking even was a "remarkable achievement given the financial pressures facing NHS Wales," Mrs Griffiths said. Health boards have temporarily closed facilities, imposed recruitment freezes and offered staff voluntary redundancy to meet their targets. Mrs Griffiths thanked everyone concerned for "their hard work over the last year which has brought about this excellent result". She added: "A solid financial performance has put NHS Wales in the strongest possible position to deliver the improvements, efficiencies and changes which will underpin its success into the future." The news comes as health boards prepare to publish blueprints for how they will deliver services in future. Ministers have thrown their weight behind a report setting out the benefits for centralising some services. But they insist district general hospitals will not close or be downgraded as part of the shake-up. Conservative opposition leader Andrew RT Davies said: "At best the Welsh Labour government's claims of a 'remarkable achievement' are misleading. At worst they are completely false." Plaid Cymru finance spokesman Ieuan Wyn Jones said: "This is an astounding attempt by the Labour Welsh government to mislead us into thinking that our LHBs have stayed within budget." Welsh Liberal Democrat leader Kirsty Williams said: "I am absolutely flabbergasted that the health minister can call this a 'remarkable achievement'. What's remarkable is that the health minister thinks that this is an achievement." The Welsh NHS Confederation, which represents LHBs, said £290m had been saved in 2010/11 without harming services. Its director, Helen Birtwhistle, said: "Although the financial environment is undoubtedly a factor in the need to make radical change, many of the changes would need to be made anyway to make necessary improvements to the quality of our services."